I’ve always been a fan of organized labor unions. Many of my friends are union members and I am happy to know that they are represented. 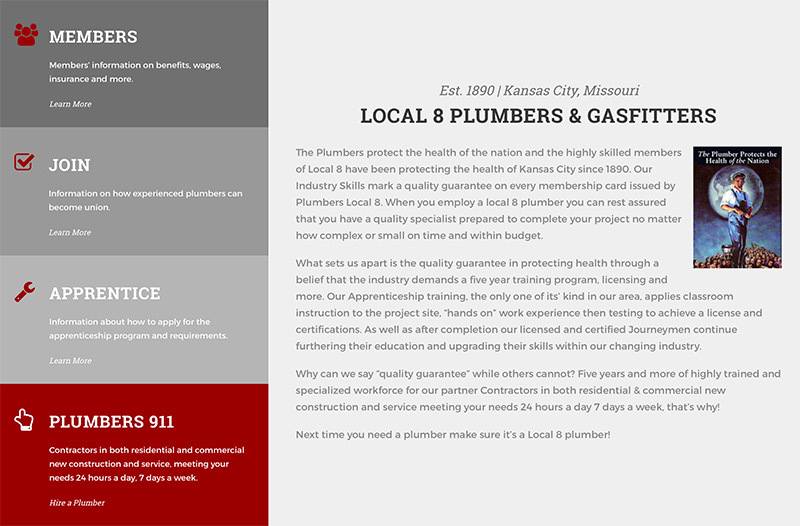 When I was contacted by Local 8 plumbers to assist with some basic HTML updates on their old website, I was happy to help. Right away I noticed that their old website was not mobile responsive. After I dug a little deeper, I also learned that it was more difficult to update than it needed to be. It was a well-built site for the time, but it had not been able to keep up with advances in technology as it aged. 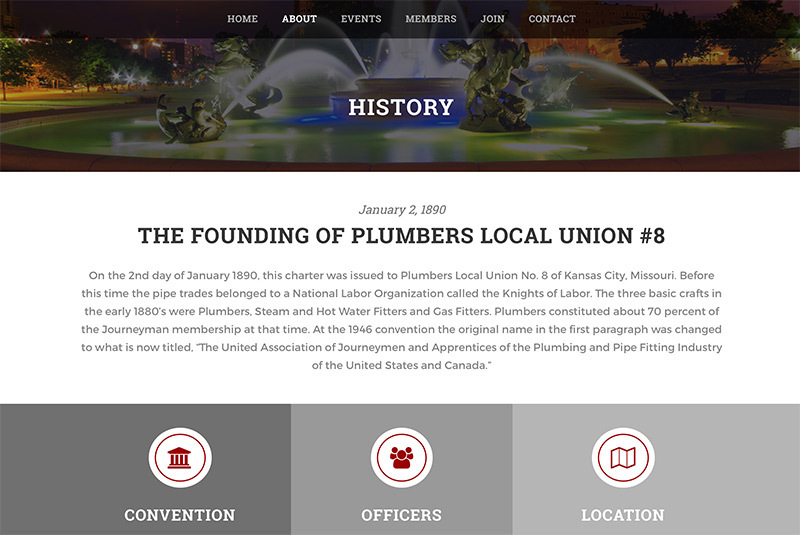 I developed a brand new Wordpress website for the local union based upon the content and sitemap from the old website. I also provided training to staff so that they could manage the website in-house. 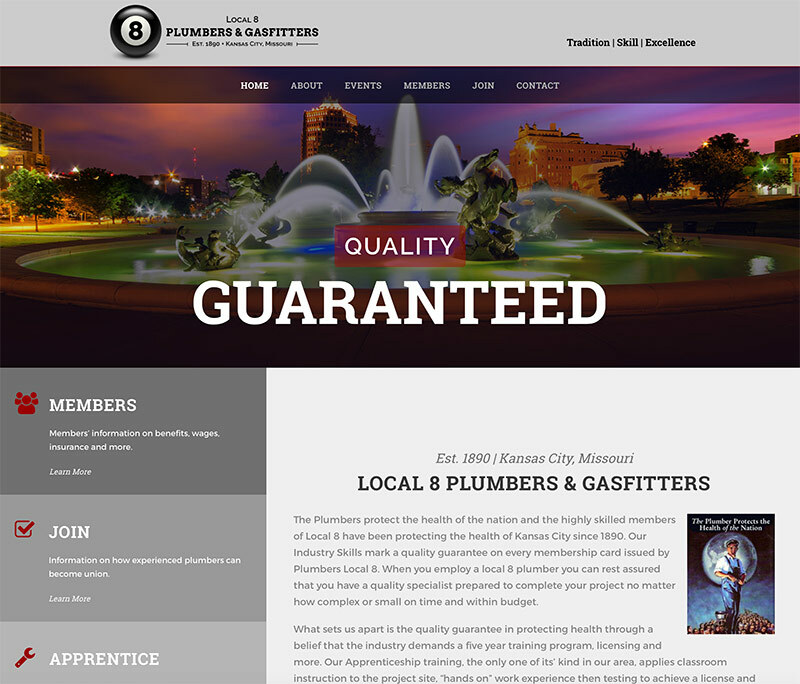 The new site is mobile-friendly and maintenance-friendly.